It is my greatest pleasure, on behalf of the Organizing Committee to welcome you to attend the 4th Deepwater East & Southern Africa Congress 2019, to be held on March 18-19, in Maputo, Mozambique. Rising as the next potential hot spot in offshore E&P, East & Southern Africa has gripped more and more attention. Countries such as Mozambique and Madagascar will launch next offshore licensing round later this year or in 2019. Many deep offshore E&P projects in East & Southern Africa also have achieved big progress recently and further exploration activities are already in plan. Mozambique, Namibia, Tanzania, South Africa, Madagascar, and Seychelles are among the most active markets in this region, and counties such as Kenya and Somalia also worth to watching. In General, East & Southern Africa deep offshore industry will present more opportunities for both global and local players in the coming years. The 4th Deepwater East & Southern Africa Congress 2019 is the only deep offshore event focusing on East & Southern Africa, covering deep offshore national commitment, regulatory updates, supply chain, infrastructure, financing and risk management, project updates, technology innovation, and advanced services. I am looking forward to meeting you in Maputo, Mozambique. 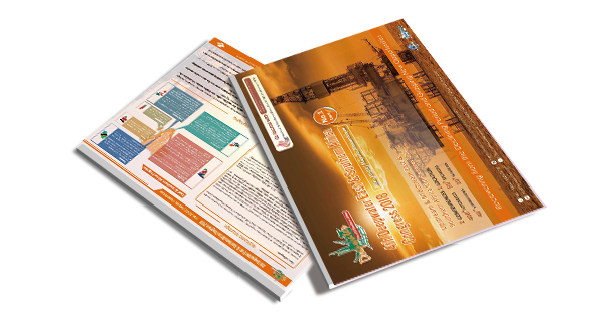 The Most Premier Deepwater Oil & Gas Conference focusing on East & Southern Africa, which covers New Regulation & Local Content Introduction, Oil & Gas Discovery and Project Updates, as well as Innovative Technologies to Reduce Cost and Improve Efficiency. Top 6 Reasons Why Attend? Keynote Speech from local government & NOC to get the lastest regulation: Ministry of Mineral Resources & Energy, Mozambique, Ministry of Energy and Minerals, Tanzania, INP, ENH, etc. Acquire latest update of the deepwater projects from the region's active operators Eni, Anadarko, BG, Total, ExxonMobil, etc.